The work of our members reaches beyond private practice. They man legal clinics, aid the homeless and working poor – and staff nonprofits to ensure a better nation. Consumer attorneys work in the courtroom to protect Californians’ health, safety and civil rights. They work to help their clients win compensation for harm. But many consumer attorneys go even further. They use their knowledge of the law and their legal skills, on their own time, to help make life better for others. Here are some examples of how CAOC members are doing just that. 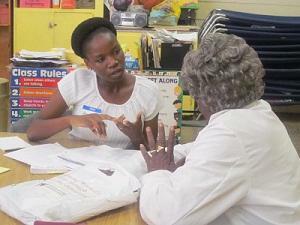 Ibiere Seck volunteers on Saturdays at a free legal clinic for members of low-income communities in South Central Los Angeles, helping answer questions from people in need of guidance on everything from probate to criminal law to civil matters. “There are a lot of people who don’t have the education or the resources to come to our law firm, or they might have a case we’re not able to take,” she explained. “I look for those people. I like doing something that’s not for profit, that helps the community.” Seck also volunteers as a member of the advisory board for an advocacy group for low-income Californians. 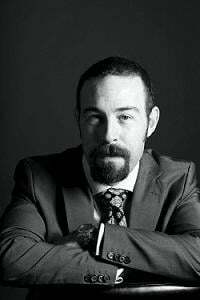 Miles Cooper is part of a Bar Association of San Francisco program that provides free attorney services to renters being evicted from their homes. Most of the cases he takes on involve long-term tenants who may face eviction after one missed payment. He described the typical tenant he works with as “on the edge financially to begin with. Then they suffer an injury, or they lose a job, or something happens with their child, and they miss a rent payment. Every single case I’ve gotten involved in has settled within 48 hours, once the other side realizes they’ll actually go to trial. In addition, there are a number of public interest and consumer-oriented non-profit groups whose legal work helps consumer attorneys in the fight for justice, whether at the grassroots level, in an academic setting, advocating at the legislative level or presenting to the courts. Here are some that do outstanding work. Public Justice, “America’s public interest law firm,” uses the skills and resources of over 3,000 of the nation’s top lawyers to fight for justice across the country through precedent-setting and socially significant litigation. The organization has special projects directed to protecting consumers from binding mandatory arbitration, unfair class action settlements, overbroad federal preemption, secret settlements and sealed court files, as well as an extraordinarily successful campaign against mountaintop mining. United Policyholders is a non-profit organization, independent of the insurance industry, that is a voice and an information resource for insurance consumers in all 50 states. UP provides consumers with information on how to protect themselves before a disaster strikes and how to deal with their insurance companies when claims handling goes awry. It has helped change laws in favor of consumers, exposed and corrected wrongdoing, and helped bring about successful claim settlements after disasters, disabling injuries and illnesses. Consumer Watchdog is an aggressive advocacy organization with a team of team of public interest lawyers, policy experts, strategists, and grassroots activists who work to expose, confront, and change corporate and political injustice. They have fought corrupt corporations and crooked politicians and have spoken out on behalf of patients, ratepay¬ers and policyholders, all in support of consumer rights. Consumers for Auto Reliability and Safety works in behalf of consumers to im¬prove auto safety technology and ensure that unsafe, seriously defective vehicles are recalled and fixed before people are hurt. CARS is also on the forefront of exposing illegal practices such as “lemon laundering” of hazardous vehicles across state lines, with the ultimate goals of saving lives, preventing injuries, and protecting consumers from auto-related fraud and abuse. 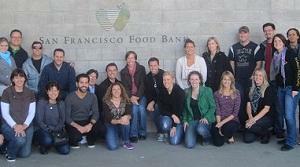 CAOC New Lawyers Division members volunteer at the San Francisco Food Bank in 2011. The Pound Civil Justice Institute is a scholarly “think tank” dedicated to ensuring access to justice for all citizens, focusing on consumer protection and civil justice issues. The institute’s work includes the production of empirical studies and law review articles that illuminate the flawed logic in corporate-sponsored tort “reform” efforts. Through its programs, the institute works to give lawyers, judges, educators and the public a balanced view of the U.S. civil justice system. The Center for Justice & Democracy at New York Law School is a national consumer organization exclusively dedicated to protecting the civil justice system. CJ&D works to make sure average Americans get a fair shake in court and to expose unscrupulous attacks by special interests on judges, juries, injured consumers and the attorneys who represent them. The organization issues studies, reports, fact sheets and white papers on civil justice topics and is an invaluable source of information on the civil justice system. JustHealth, formerly the California Consumer Health Care Council, says its mission is to create a just healthcare system. It intervenes as an advocate for patients and healthcare providers to get claims resolved and will bring public interest cases to protect the rights of consumers and providers in health care issues. JustHealth also submits friend-of-the-court briefs to help educate the courts about injustices in our healthcare system that affect the lives of millions of Americans. The Center for Justice and Accountability is an international organization, based in San Francisco, dedicated to advancing the rights of survivors of torture and other severe abuses of human rights. Through two civil laws, the Alien Tort Statute and the Torture Victim Protection Act, CJA works to prevent perpetrators of international human rights abuses from finding a safe haven in the United States. The organization works with law firms that donate their expertise and services to win justice for victims from around the world.